From this year on, I'll focus on selling Vanilla form all around the world because Vanilla was, is and will always be my one and only true love. All I can think of all day long is Vanilla, aromatic palette, harvest, Madagascar, Mexico, Uganda, etc. Sometimes in life, you're a at crossroad and you have to make a life changing choice. 2019 is the perfect opportunity for me to make that choice. 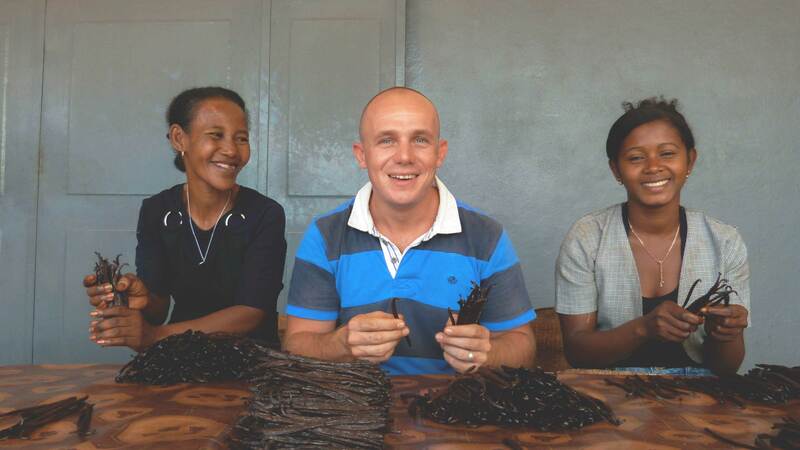 This is why I decided to stop selling peppers, herbs and spices in order to focus solely on Vanilla from everywhere in the world but with the same quality as always. I'm truly hoping all of you will follow me and will discover the best plants of Vanilla with me. I can't picture myself selling the same products and the same quality as my competitors. I like excellence, I like high end products. This passion and these standards require tons of time, a lot of searching and hours and hours of testing samples. I'll never stop trying to offer you products off the beaten tracks with the highest quality possible. I can't thank you enough, all of you who will support this decision and stick with me through this new journey ahead of me. Your Vanilla aficionado, David Vanille. "Listen to your heart. It knows all things, because it came from the Soul of the World and it will one day return there."